includes DirecTV, digital rights management, video on demand, and digital video recording with streaming to smartphones, tablets, desktop players, displays, smart TVs, and set-top boxes. VidOvation TV integrates with the new DirecTV COM3000 system, supporting up to 138 channels of DirecTV. 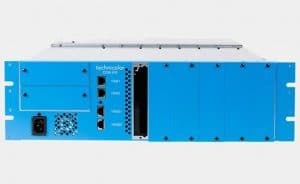 The DirecTV COM3000 system has been designed specifically for hotels and enterprise installations where there is a need for a single-wire solution for multiple displays. The COM3000 system offers up to 138 tuners in a scalable system that takes up a small space in an equipment rack. It creates a head-end system in which every TV can be tuned to its own channel without interfering with other TVs. The VidOvation TV system increases the number of available DirecTV channels from 48 to 138. It is one of the only systems on the market that supports Verimatrix and Pro:Idiom encryption now required by every cable and satellite operator including, Comcast, DirecTV, Dish Network and more. The VidOvation TV system can distribute virtually any video and television sources from DirecTV, Satellite, Cable, Studio Feeds, In-house Feeds, Media Players and Third-Party Digital Signage. The VidOvation TV Digital Signage feature provides users with a feature-rich Digital Signage capability and experience including L-bar, multi-zone with live video, emergency alerts and more. There is a need for IPTV and Digital Signage Systems that support the industry-approved Verimatrix and Pro:Idiom encryption and Digital Rights Management (DRM) standards There are many systems on the market that circumvent the Digital Rights Management and encryption required by the Studios, Cable and Satellite operators. One solution is the use of hundreds of thousands of dollars of encoders. In addition to the added expense, the live television quality is degraded by re-encoding the signal for a second time. 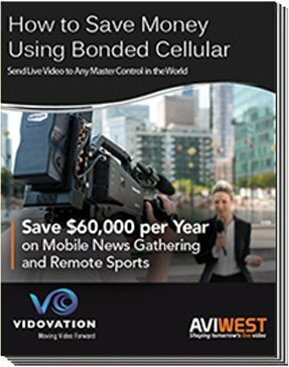 The VidOvation TV approach saves $50K to $350K on the cost of encoders. Save 50-70 Rack Units of space. Save on HVAC costs. Save on electricity costs. 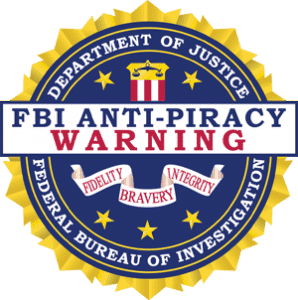 Other vendors provide a proprietary form of encryption which may not be approved by all the Studios, DirecTV, Dish Network, Comcast, cable operators and more. The VidOvation TV meets this industry need by providing an Enterprise IPTV and Digital Signage System with native support for Verimatrix and Pro:Idiom DRM.